Dog heart murmur is a symptom caused by turbulence in blood flow through the heart. 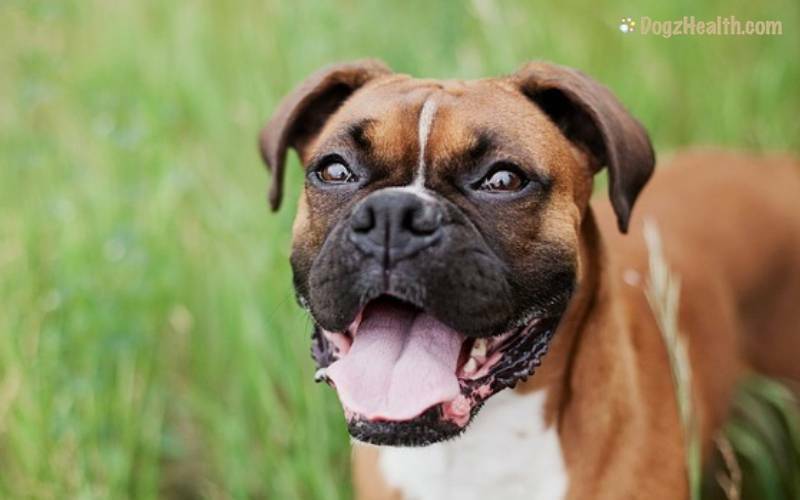 There are numerous health problems that can cause heart murmur in dogs, such as heartworm infestation, anemia, and other congenital heart diseases. Read on to find out more about the possible causes and the symptoms associated with canine heart murmur. A heart murmur is an abnormal heart sound (vibration) caused by disturbance of blood flow through the heart. When we listen to a healthy heartbeat, we hear two heart sounds, “lub dub”, which are the sounds of the heart valves closing. If these valves do not meet correctly, instead of all blood exiting the heart, some of the blood will flow back into the heart chamber. The noise caused by the blood flowing back into the heart is called a murmur. I: the noise (murmur) is slight and barely audible. II: the murmur is soft, but it can easily and clearly be heard. III: the noise is “intermediate” – not too soft and not too loud. IV: the murmur is very loud – you can hear it with a stethoscope barely touching the chest. If you place your hand over the heart, you can actually feel the murmur. V: the murmur is loud enough to be heard even without a stethoscope. If you place your hand over the heart, you can actually feel the murmur. Not all canine heart murmurs are serious. For example, during the rapid growth phases of puppies and young dogs, sometimes heart murmurs occur. The reason is, growing puppies have a high cardiac output that may produce enough velocity to create turbulence, which results in a heart murmur. This is quite normal. In most cases, the heart murmurs disappear when the puppies reach adulthood. Although some heart murmurs are innocent, canine heart murmur can also be a sign of some form of illness or serious heart disease. Dogs suffering from severe anemia may have a heart murmur. The reason is, anemia can affect the viscosity or consistency of the blood. Sometimes this results in turbulent blood flow through the heart, resulting in a heart murmur. Heartworms live mostly in the pulmonary arteries and the right ventricle of the heart. As a result, heartworm infestation can cause a heart murmur audible over the right side of the chest. 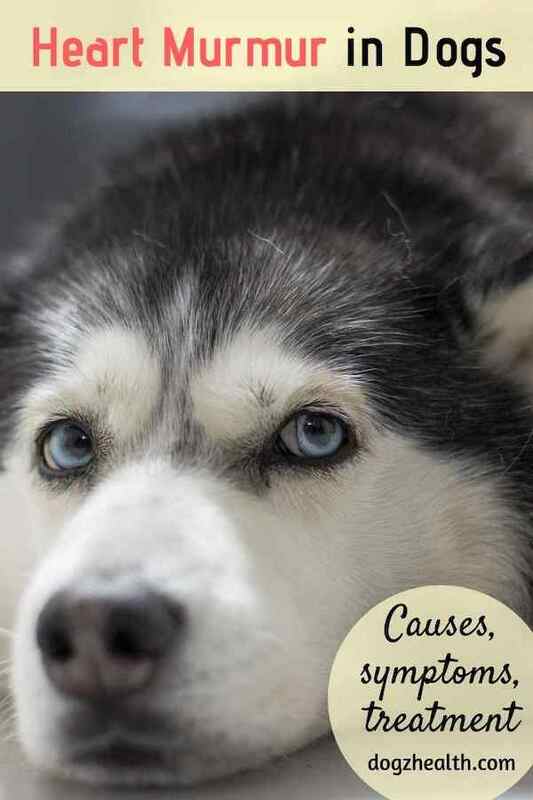 This is a common heart disease of unknown cause that affects 20 to 40% of dogs, usually small and toy breeds. It is characterized by degenerative changes in the heart valves (in almost all cases the mitral valve is affected). The degenerative changes cause the valves to lose their normal functioning. This results in decreased cardiac output. The hallmark symptom of this disease is a loud heart murmur heard over the left side of the chest. The disease is chronic and progressive. Without treatment, the condition can develop into congestive heart failure. Congenital heart disease (such as valve malformations and narrowing, abnormal openings between the heart chambers) can also cause heart murmur. Severe congenital heart disease can cause a dog to die within the first year of life. Dogs with moderate heart defects may live but usually have stunted growth and fainting episodes. They may also have sudden and unexpected heart failure. When heart murmurs cause clinical signs, it usually means that your dog is suffering from some form of disease in the heart. The murmur is a result of such underlying cause. If your dog has a heart murmur, it is important to have a thorough physical examination to identify the source and severity of the murmur. Chest X-rays: Chest X-rays can show the physical conditions of the heart. The vet can check the size (is it enlarged? ), shape (any abnormality? ), and the position of the heart. However, chest X-rays cannot show how the heart functions. ECG (electrocardiogram): This test can detect changes in heart rate and rhythm (arrhythmias), heart chamber size, and electrical axis. Cardiac Ultrasound: This test can determine how well the heart is functioning. It can observe the strength of contractions, measure chamber size and thickness of the heart muscle walls, and valvular function. It can also detect the presence of heartworms and tumors. Blood Tests: CBC (complete blood cell count) and serum chemistries help to detect potential problems with other organs in the body, such as the liver, kidney, pancreas, etc. It is important to make sure that the liver and kidneys are healthy because they metabolize most of the medications used to treat heart disease. As heart murmur is not a disease, it cannot be “treated”. Treatment is directed at the underlying problem that causes the heart murmur. Treatment options naturally depend on the nature and severity of the underlying disease. Minor heart problems can quite often be controlled by changes in diet such as putting your dog on low sodium dog food. 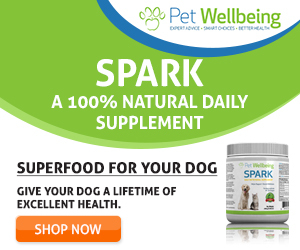 If your dog has a mild heart murmur, or if his heart is not as strong as it should be, here are a couple of great natural supplements that can give cardiovascular support to your dog. One is an herbal formula called Young At Heart. This formula supports the heart muscle and rhythm as well as promotes healthy blood pressure and circulation. You can see quite a few comments on its effectiveness on dog heart murmur. Another supplement is Vet Classics Canine Cardiovascular Support . This natural supplement contains vitamin E, magnesium, and selenium, as well as grape seed extract, coenzyme Q-10, and Siberian ginseng (all of which are powerful antioxidants). It also contains the herb hawthorn which is effective in improving blood flow by strengthening heart constrictions. This supplement is beneficial to dogs with congestive heart failure or other congenital heart abnormalities.